Peru: an enchanting destination alive with the history of one of the greatest civilizations of all times, the Incas. It is on of the only places in the world where ruins sit atop a mountain top and one can sit in peace but also utter amazement at how these were built without modern technology. This is the story of my journey there. Last August, I had about 80,000 United miles and was thinking of a way to use them. I talked to main travel advisor, my father, and asked him what his favorite destination on the Earth was. 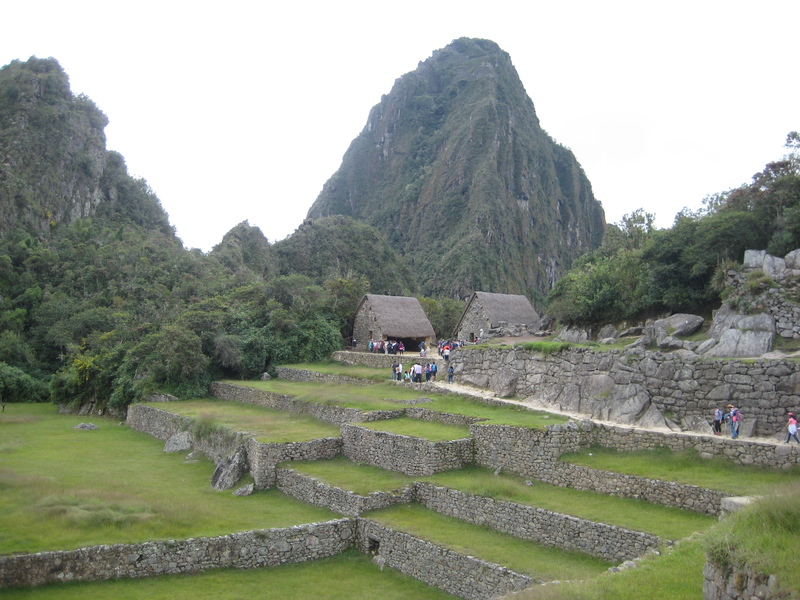 He remarked rather quickly that it was Machu Picchu. I decided then and there to book two round trip tickets. 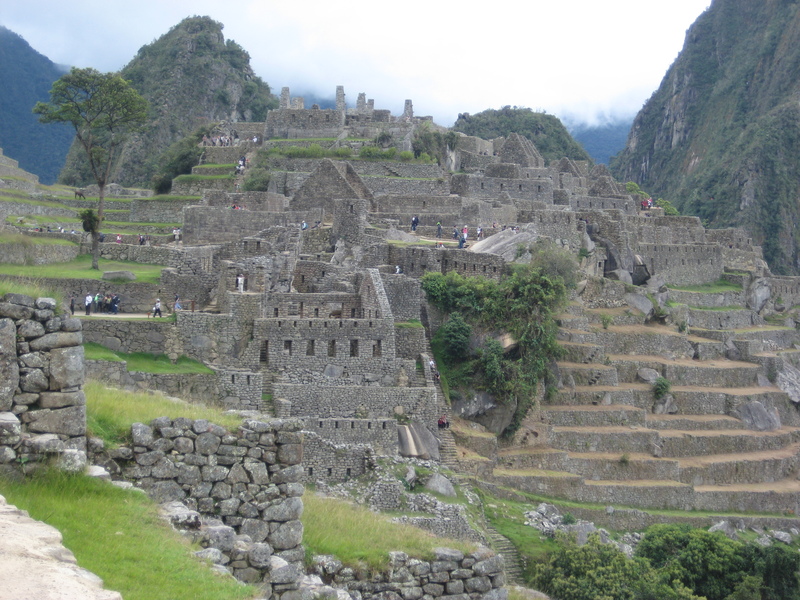 Albeit, the timings were not ideal to and from the final destination, Cuzco, but free is free. The path to Lima was a two-pronged trip: first, a flight to Panama City, followed by another to Lima (my first time on Copa Airlines, and a good experience overall). There is actually a direct flight from my home base of Houston, but it arrives quite late at around midnight. 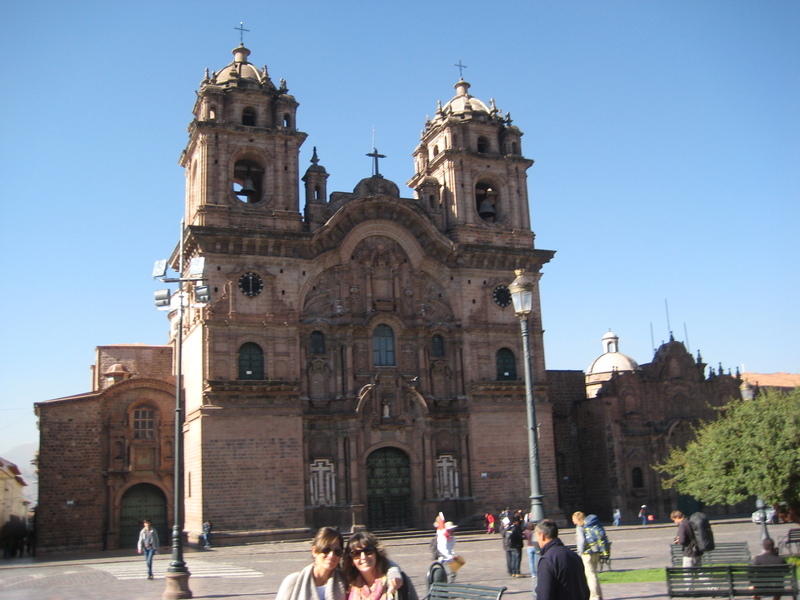 With this itinerary, I was able to arrive at around 8 PM, which was not just a decent time but necessary with the 520 AM flight the next morning to Cuzco. Upon arrival in Lima, I checked into the Costa Del Sol Wyndham airport hotel. It’s not a particularly nice hotel, but the location is unbeatable, it is a simple walk across the airport. There is actually an elevated walkway that leads to the hotel from the second floor of the airport. The hotel itself is quite expensive, however there is a trick to lighten the load on the wallet. Simply purchase 3,000 Wyndham points for $33 and then you can book a points plus cash booking for $104.50 total. Compared to the rack rate of $229, this is an excellent deal. The hotel also gives a free drink, most people choose to taste the local specialty, the pisco sour. For dinner, I grabbed a rotisserie chicken from the airport food court. This was actually quite tasty, probably the best airport food court food I’ve ever had. The name of the restaurant is Pardos for reference. On the return I had another Lima specialty, ceviche, in the hotel restaurant which was also good, but double the price of the chicken. I got to bed by 10, knowing that five hours later it was time to awaken for the flight to Cuzco. 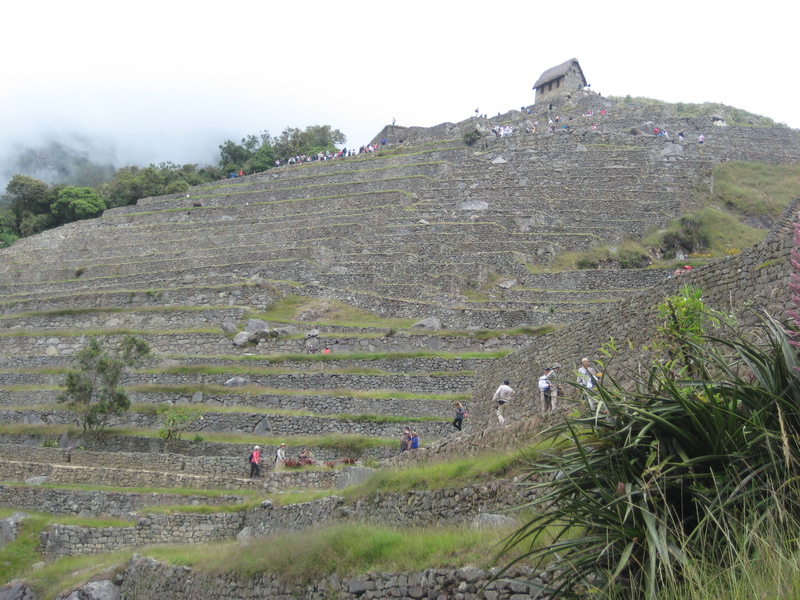 The path to Cuzco is not an easy one. Cuzco does not have international flights; there are statements that an international airport will be built in the next six years, but these are nothing more than words at this moment. The current airport is in a location that gets very windy, so by the afternoon many flights are delayed or cancelled altogether. Thus, the best idea is to take the earliest flight to and from Cuzco. I took the earliest flight, 520 AM, which was not ideal but the best option to minimize possible delays. The flight to Cuzco was an hour more or less. The crew was friendly and gave a snack and refreshments. It was my first experience on Avianca and I can not complain, a free exit row seat is about all it takes to make me happy. I arrived quite early, around 7 AM, so the hotel room was not ready yet. No worries, this gave me several hours to tour the town. Also, there is a Peru Rail office in the airport to collect tickets. This is important because when purchasing tickets online, it is simply a reservation, not the actual ticket. 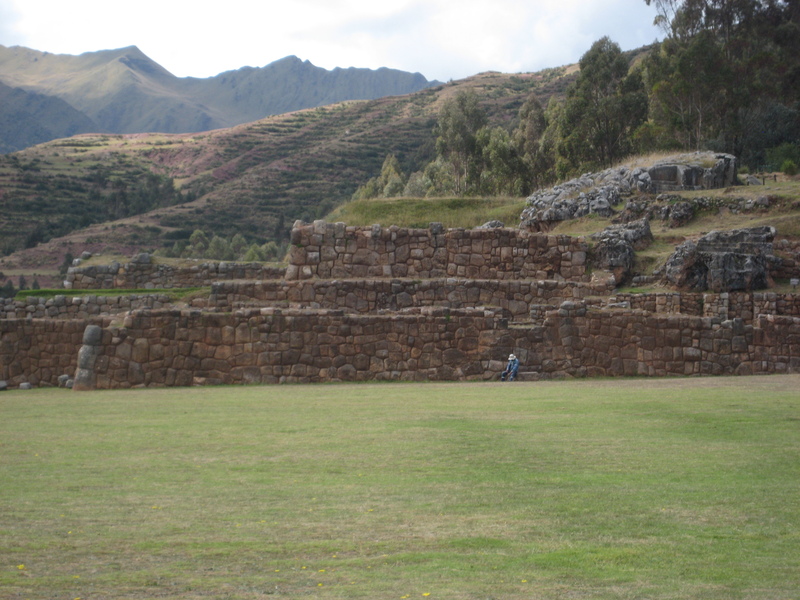 Cuzco is widely considered a colonial gem. It is a pleasant city, but in my opinion the main sights can all be seen in a day. They are mostly museums in addition to a tranquil central square. 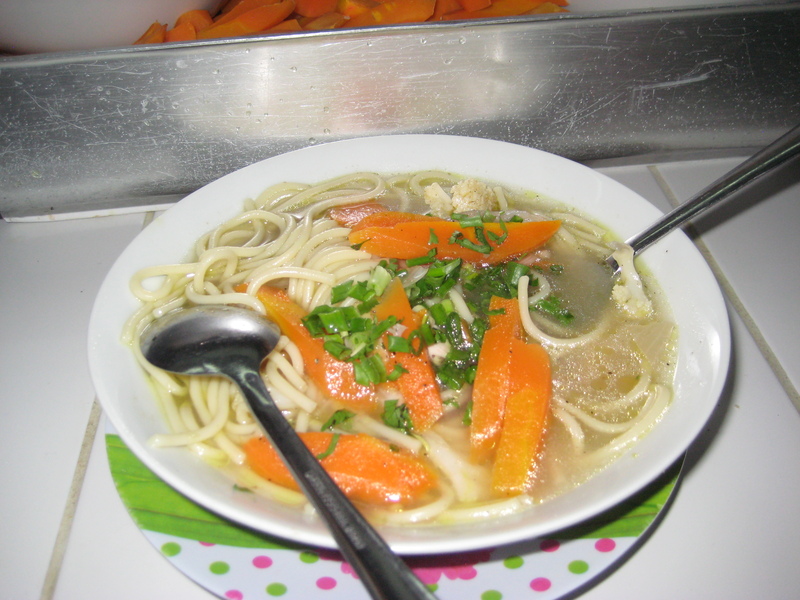 My favorite experience in Cuzco itself was actually going to the local market, Mercado San Pedro, and eating chicken soup, or caldo de pollo in Spanish, with the locals. The locals glanced at me for a moment, probably at the oddity of a foreigner daring to eat in the bustling market. This was probably the best meal of my entire trip. There were also stands that sold fresh juice. I had some mix of local fruits, and it was excellent. The lady kept refilling my cup until the juice from her blender ran out. The cost from my memory was maybe 3 soles, or 1 US dollar. By the afternoon, the hotel was ready, and I was ready for a nap. 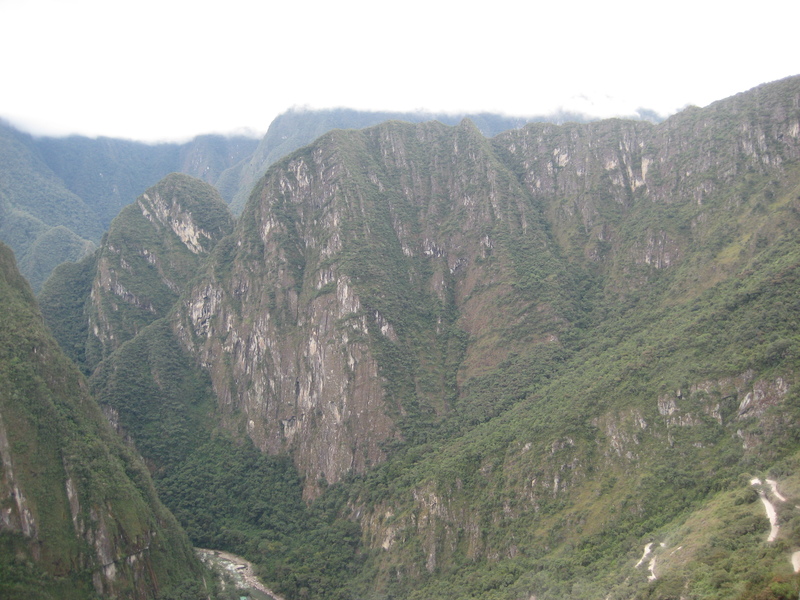 The elevation of Cuzco is severe, 11152 feet. It definitely takes about a day to get acclimated to the elevation. It honestly did not bother me so much, I felt a bit lightheaded at worst. The hotel I stayed at was actually a bed and breakfast named Second Home Cusco, run by Carlos Delfin, the son of the famous Peruvian artist Victor Delfin. The room is nice, it was a bedroom with a living room area and a bathroom. Also, breakfast is free and prepared daily by Carlos. My rate was approximately $300 for 3 nights, a relative bargain in Cuzco. Carlos was very helpful in arranging rides to and from the airport and train station, as well as arranging a sacred valley tour. 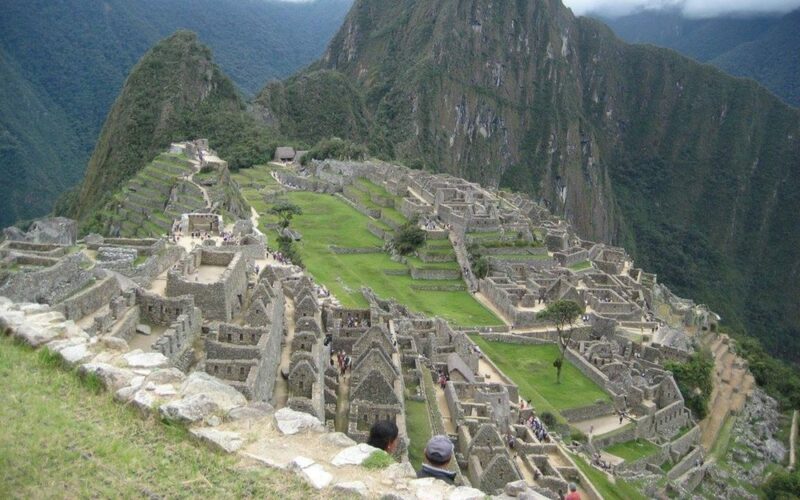 The next day was the trip to Machu Picchu, the day that was months in the making. Purchasing tickets to Machu Picchu isn’t particularly user-friendly, but definitely doable on the Peruvian government’s website. Tripadvisor has an excellent user guide here. Tickets for the year aren’t released until the first of the year, so I purchased my tickets January 1. The prices aren’t bad, about $38. The train tickets are quite expensive though; the ticket from Cuzco to Aguascalientes was $200 round trip. However, there isn’t really any alternative, since there is no way to arrive to Aguascalientes by road. The journey there was nice, as there were two very friendly Americans that sat across from me and kept a great conversation for the 3 hour journey. There are two train companies: Inca Rail and Peru Rail. Peru Rail is the original company, but apparently the owner of what is now Inca Rail had a dispute in the past and thus decided to start his own company. Peru Rail was fine but I think in the future I would try Inca Rail, as its seats look nicer and more comfortable. The food on Peru Rail was forgettable as well. To be clear, the station isn’t actually in the center of Cuzco, it’s actually a bit outside the city in Poroy municipality, 20 minutes more or less. I’m not sure of the exact reason of this, I was given various stories by various locals. One said that it was causing too many accidents in the town, another said that it was a way for taxis to make money by taking people outside the city, while most were as confused as me as to why it happened. Upon arrival in Aguascalientes, one has to buy a bus ticket to actually go to the top of Machu Picchu, these run about $24 round trip. Honestly, on the way up, the scenery to me wasn’t that much better than other scenery I had seen around the world, particularly in Sicily and Central Mexico. I think it is the fact that the ruins themselves are on top of a mountain more than the ruins or the views themselves that make it a special place. Upon arrival, one heads straight into the maze of ruins. As the day goes on, the crowds begin to enter; I can only imagine how bad they are in the peak season. In the afternoon, they die down again. This is the best time to be here, one can simply sit and visually meditate. 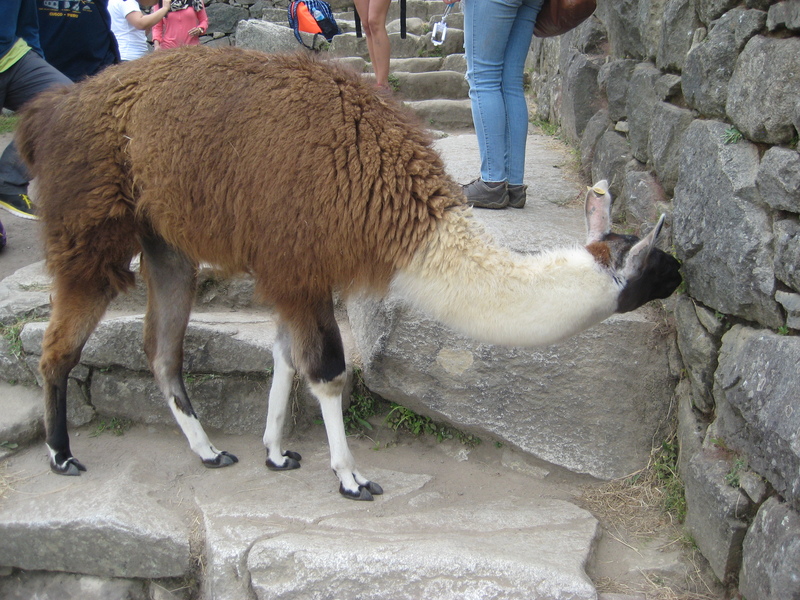 There are also llamas, though not many, that provide bemusement to most visitors. Then, it’s back to the bottom on the bus. Food in Aguascalientes is like most touristy cities, overpriced and forgettable. Anyhow, this is still better than what is offered in the train. The train back to Poroy was interesting; the workers performed a fashion show, to sell goods of course. One Alpaca jacket costed approximately $300, an outrageous price. 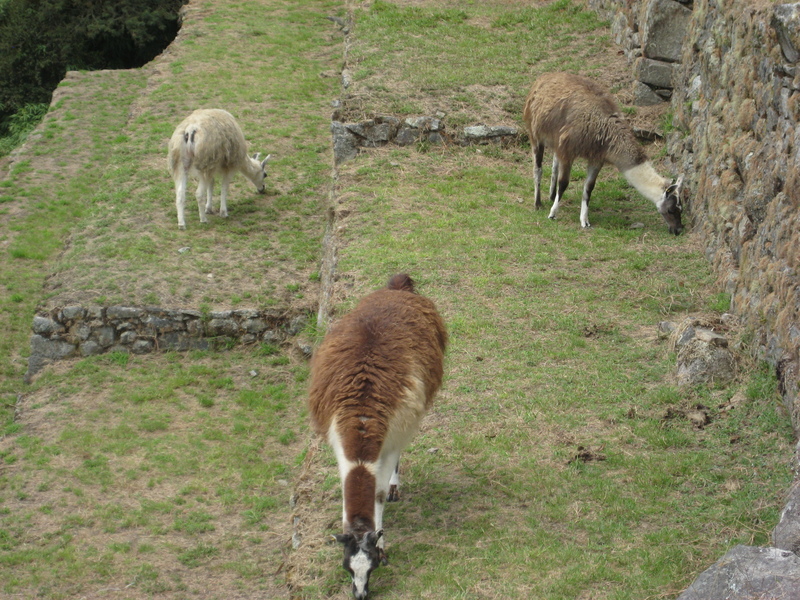 By the time one arrives in Cuzco, the first idea is to eat something, and then sleep. For me, this is what I did, grabbed a pizza from a local hipster restaurant of which I can’t even remember the name and then hit the sack. 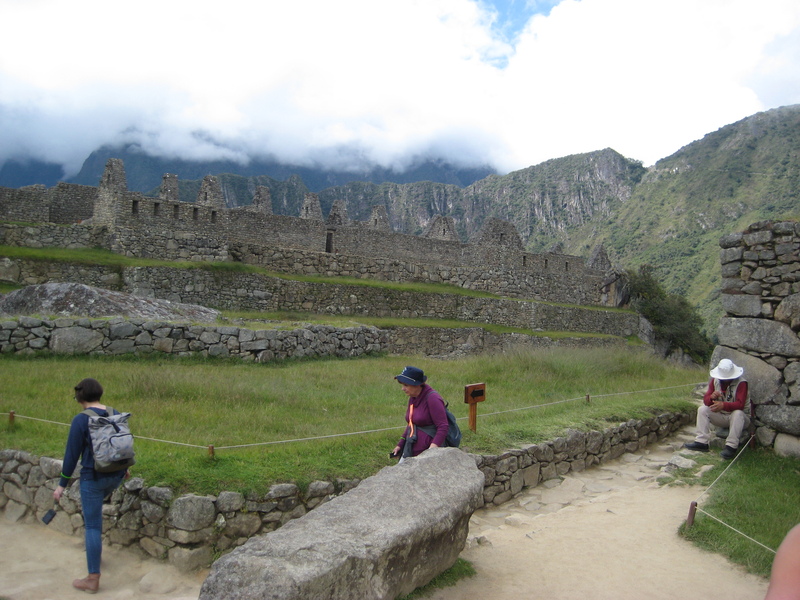 The next day was the sacred valley tour. The one day tour of the sacred valley was honestly my favorite day of the three. I hired a driver for $80 for the entire day, and he basically took me on a tour of the entire valley. 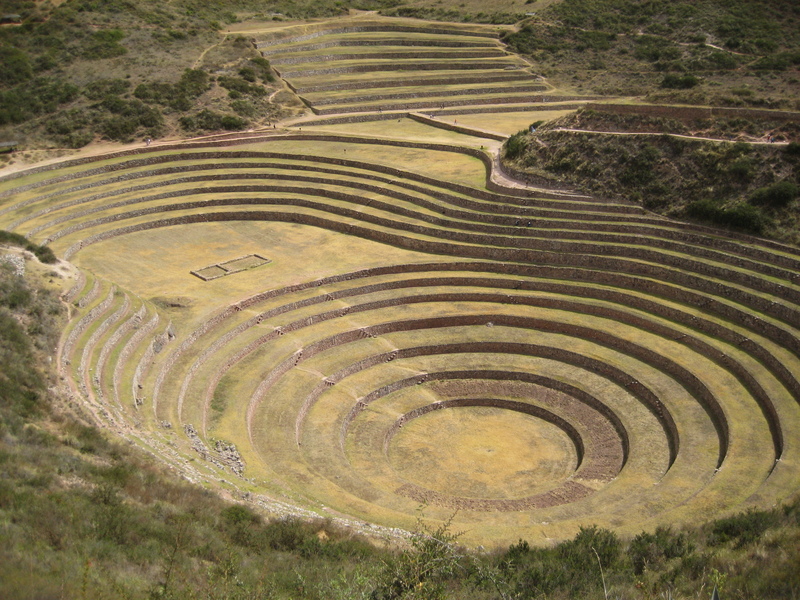 First, we went to Chinchero. There, he showed a market where alpaca sweaters were sold. I purchased one for $20, glad that I didn’t fall for the train peer pressure the night before. There were some ruins here, giant stair steps of sorts. Then, it was off to Moray. This was a very interesting place. I don’t even know how to describe this place in words, so I won’t dare to do so. The picture below says everything. After this, we headed to Salineras. This was again a visually stunning place, essentially open salt mines. The road here was extraordinarily risky, basically a one way dirt road on the side of the mountain. However, the drivers going up and down seemed as relaxed as an old man going for a walk in the park, it was simply routine for them. After this was the last destination, Ollantaytambo. Some people stay here and catch the train from here to Aguascalientes, as it runs more frequently and is closer, as to avoid crowds. There isn’t much in the center, but there is a huge hill that one can climb. This is a good way to test one’s physical condition, many people were having issues going up and down. After this, it was the long ride back to Cuzco. All thanks to the driver Wilbur, who spent 12 hours driving me all around the region for a very modest price. The contact info he gave me is 984744237 and wwontalvog@hotmail.com. After this it was back to the sack and in preparation for the next day, a flight back to Lima, and then a one day stopover in Panama City! Well I understand that as a visitor you are just repeating information that you were given, but it looks like you were given a lot of inaccurate information, so here are some comments and corrections if you wish to make them on the blog. First off I would recommend revising your statement that “It is the only place in the world where ruins sit atop a mountain top” as you will find ruins on top of mountains all over the world. The next thing is that the new airport in Chinchero is more than just words at the moment, land has been acquired, a contractor has been chosen and work is scheduled to start next month, weather it actually does or not may be another question, additionally the Cusco airport is an international airport, but at the moment I believe only through La Paz and maybe Bogota. Flight delays in or out of the Cusco airport are not generally due to wind, personally I have never seen wind delays, but rather clouds as the Cusco airport has a VFR or visual flight rule designation. Because of this flights are delayed or canceled due to low clouds in the valley, and this is most common in the mornings, so the later flights are actually the better option as the early flights are more likely to be delayed or canceled. While the official elevation of Cusco is 11,152 feet, this elevation is at the airport, the Main Plaza is a little higher at about 11,300 feet. While I have heard that Second Home Cusco is nice, $100.00 USD a night is far from a bargain in Cusco, even if figuring double occupancy $60.00 a night is about average. If you only paid about $18.00 USD, then you must have purchased either Student, National, or a Comunidad Andina ticket because these are the only ones that are S/64.00 Soles (about $18.00), regular entry is, and has been all this last year, S/128.00 Soles or about $38.00. As for the train you would have been better off using the Ollantaytambo station over the Poroy (Cusco) station, from Ollantaytambo there are more time options and you can get round trip tickets as low as $105.00, but the more common cost is about $120.00 round trip, depending on train and time of course. Even figuring in transport you would have saved money. The original train operator was actually the government, on my first visit back in 2006 we took the government run train which was not nearly as comfortable, sometime after 2006 they shifted operation to private companies and you had Peru Rail, which is at least partially owned by the same company that runs the Orient Express, and they also own the Monisterio Hotel in Cusco and the Sanctuary Lodge at the Machu Picchu entrance. At the beginning there was also Machupicchu Train and for a short while there were all 3 but then Inka Rail either bought out Machupicchu Train or they merged, not sure which. Never heard the owner dispute story, but I suppose that it is possible as I don’t really know anything about the owner/s of Inka Rail. There is actually still an operating station in Cusco, right next to the San Pedro Market, but only local trains leave from this station. Peru Rail says that they do not use it for tourists as it tends to flood during the rainy season, but the station really makes no sense to use. We used it back in 2006 when I first visited and the trip from the Historic Center to Poroy, which is only about 20 minutes by car, took about 1-1/2 hours in the train. 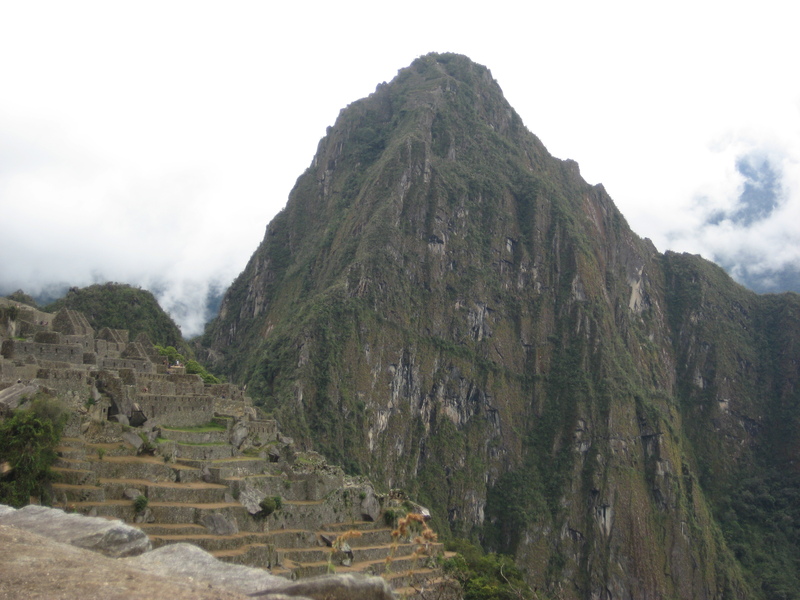 It is possible to hike up to the entrance of Machu Picchu from Aguas Calientes, but not recommended if only doing a one-day trip, and current prices for the bus are $12.00 each way or $24.00 round trip. In Aguas Calientes there are reasonable options for food, you could have gotten the rotisserie chicken that you enjoyed in Lima for S/9.00 Soles, yes about 2 – 3 Soles more than in Cusco, but still a cheap meal compared to what most people are used to. 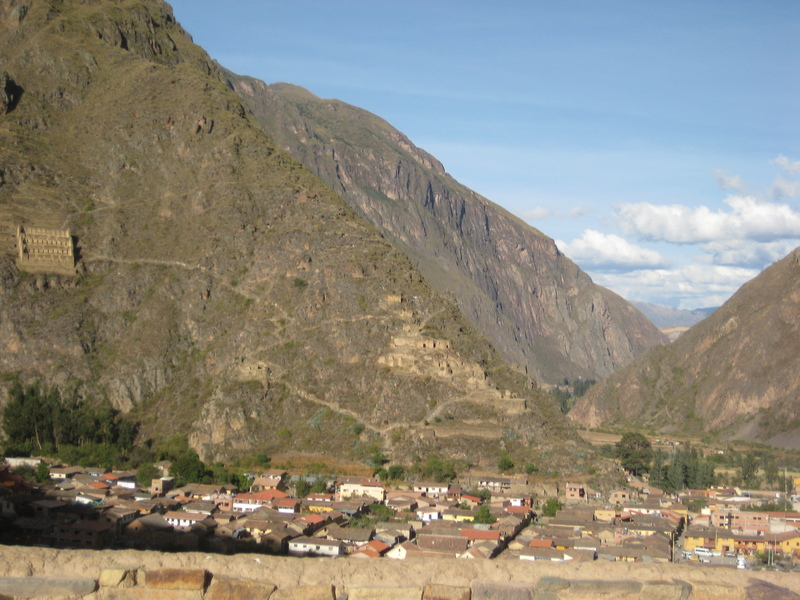 You didn’t actually do a “Sacred Valley” tour as the only place you visited that is actually in the Sacred Valley was Ollantaytambo, the other locations are all on the mountain overlooking the Sacred Valley. 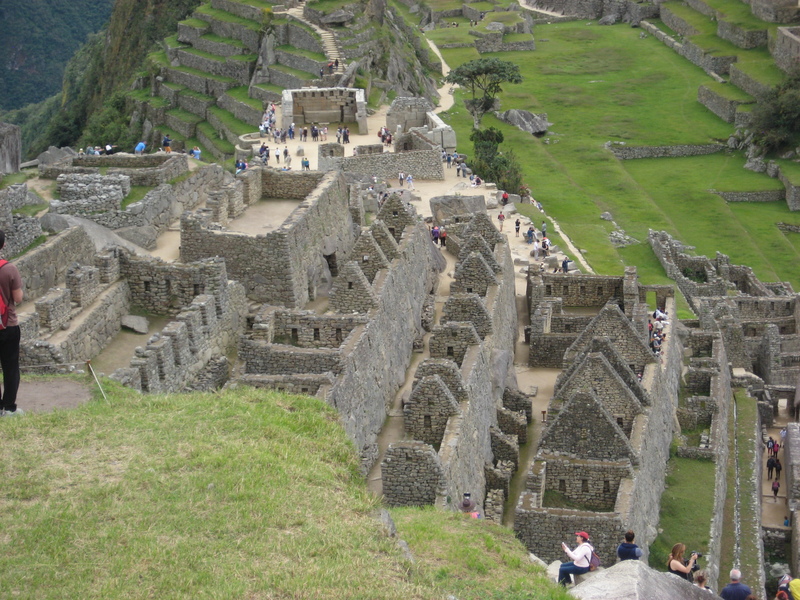 It would also have been better if you had done the Sacred Valley tour on day 2, stayed the night in Aguas Calientes and then visited Machu Picchu on day 3. 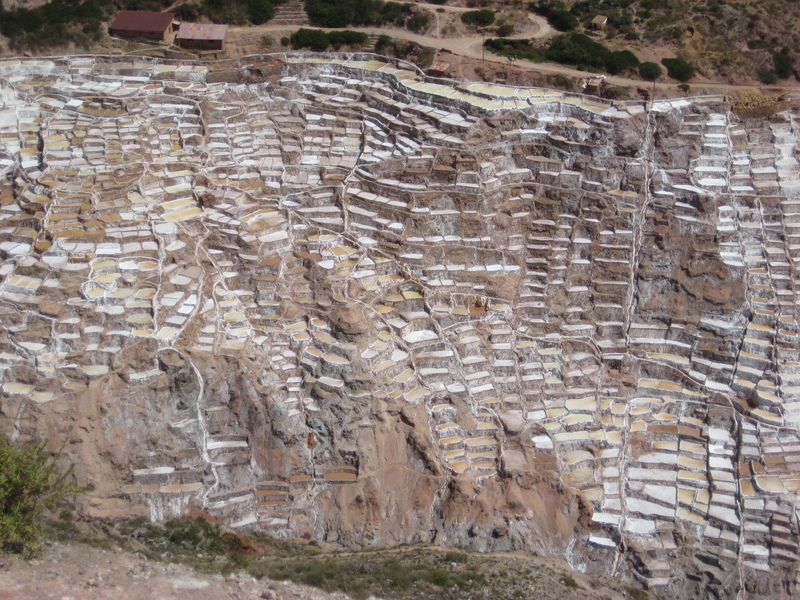 NOTE: There is no pyramid in Ollantaytambo. Thank you so much for your sharing. I am going next Wednesday (Dec 14) and have a lot of anticipation. would love to share my trip experience too.